Hi ppl, Hru all ? Really missed blogging after coming here. Well, getting the internet connection was such a painful task cos of the bad weather n festival season. After several trips to the bsnl office made by my H, finally they agreed to give the connection and that happened after 15 days of waiting after applying and 2 days back only we got it. I really missed talking to my friends, and I really felt missed out from the civilization without the Internet. Now that I'm back ( can I say that surely ?!) ,wll surely be reading all my fellow readers blog and so many new recipes to catch up on.. This kheema masala has become my fav ever since I've reached here. My mom-in law makes this often and not to mention, it tastes awesome with the idli's.. and so I made this today and clicked some pics to get featured in my space.. Njoy gals. Whole peppercorns -- 5 to 6 nos. Now throw in the minced onions and saute well adding half the salt ( remember, we've already added some salt in the cooked kheema mixture). Saute until the onions turn slightly brown. Add the remaining gg paste and again saute till the oil starts oozing out. 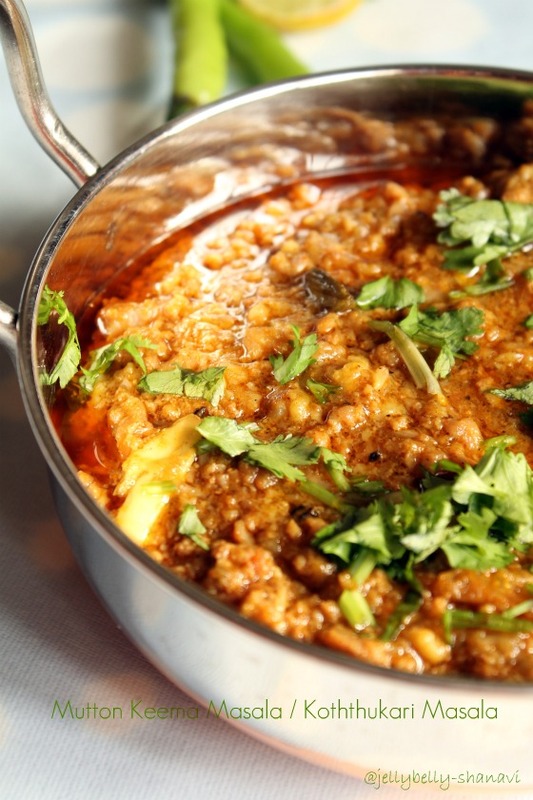 Make sure u don't add more water to cook the kheema, else the kheema masala would be watery and will take much time to reach for the desired consistency. U can make the madurai special , kari dosai with this masala. I've tried and it tastes awesomee.. Welcome back :) lovely treat for mutton lovers.. 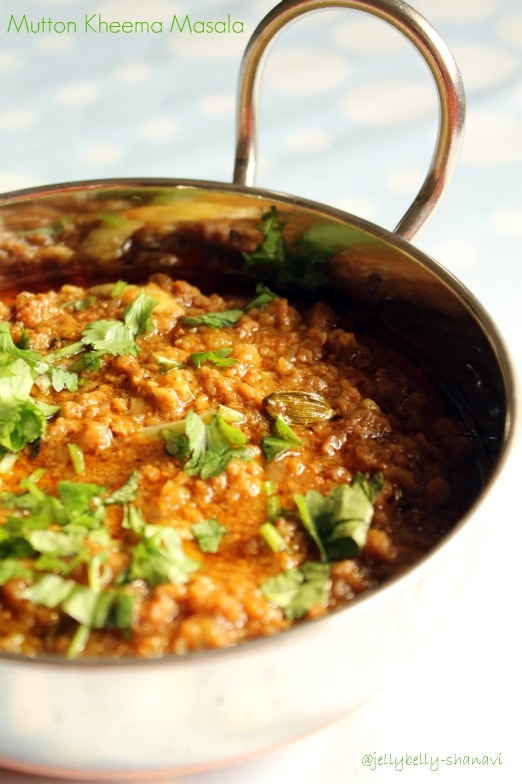 I love kheema recipes. Looks delicious. First time on your space Shanavi.. Nice blog. happy to follow you. yummy keema! !perfect with chapathi! !nice shot! welcome back - where in India u have shifted to ???? Welcome back!!!! This curry looks soooo....delicious..The masala is so flavorful & aromatic..
Yumm, super tempting kheema masala, seriously drooling here dear, glad to see u back with a beautiful dish. Wow!! Mouth waters when I see something non veg!! This looks delish!! Looks so tempting,aromatic and delicious..bookmarked. Spicy and yummy mutton keema. Just mouthwatering...the recipe looks so easy to prepare and delicious! Drooling spicy masala. Very much inviting. Very spicy and flavorful Masala. Wonderful pictures too. good to see you here again! 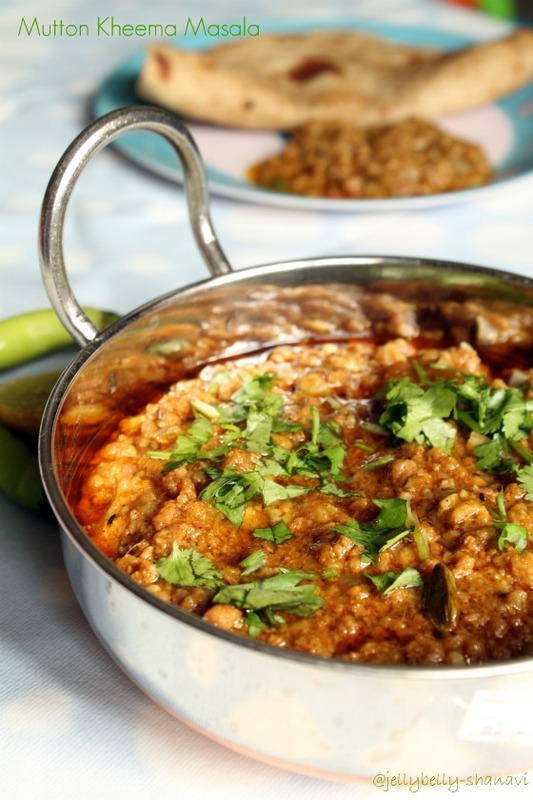 :) the kheema masala looks super delicious! Yummy delicious mutton kheema..very tempting!! Looks yum,,,clicks are good too,. Great recipe! 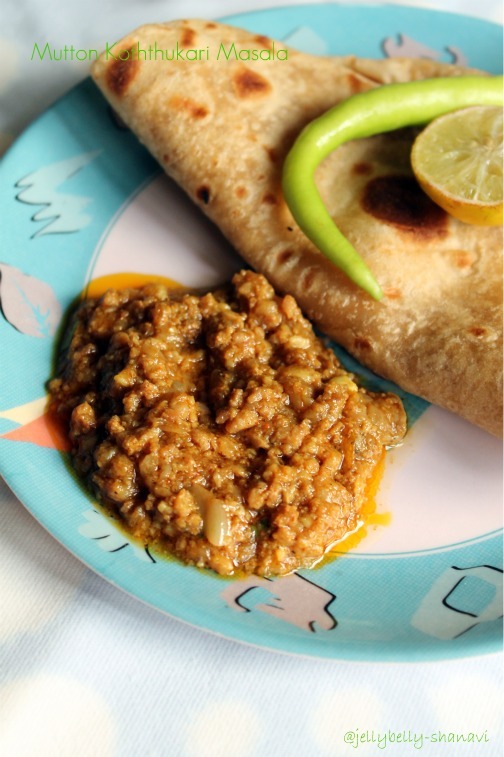 Maybe you can try my recipe for Keema as well. I have shown how to use Keema as appetizers. Perfect! I'm hungry..feel like having it with hot phulkas..
Hope you would visit our blog.